Miami (AFP) - Thousands of healthcare workers in areas of Sierra Leone that are grappling with Ebola will now begin receiving an experimental vaccine against the often deadly virus, officials said Tuesday. The vaccine candidate, rVSV-ZEBOV, was developed by the Public Health Agency of Canada and licensed to NewLink Genetics and Merck pharmaceuticals. It will be given to 6,000 healthcare workers and other frontline personnel in the fight against Ebola over the coming months, the US Centers for Disease Control and Prevention (CDC) said in a statement. The vaccine trial, known as STRIVE (Sierra Leone Trial to Introduce a Vaccine against Ebola), is being conducted in Freetown, the Western Area Rural district and certain chiefdoms in Bombali, Port Loko, and Tonkolili districts. 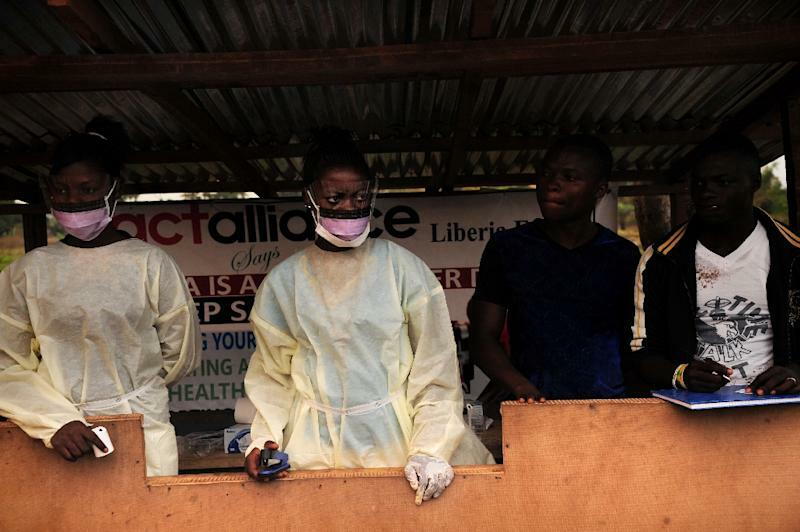 "These study locations were selected because they have been heavily affected by the Ebola outbreak in the past few months," the CDC said. As of late March, the vaccine has already been studied in more than 800 people as part of ongoing vaccine trials in Africa, Canada, Europe, and the United States. So far, the vaccine appears safe and those who take it show an immune response to Ebola. "The vaccine cannot cause Ebola virus disease but can potentially stimulate an immune response to protect against the disease," the CDC said. However, it remains unclear if the vaccine can prevent Ebola, and if it does, how much protection it may provide. Therefore those who take it must still follow all precautionary measures to avoid Ebola infection, such as covering their skin, mouth, nose and eyes and not coming in direct contact with the bodily fluids of those who are ill.
Those in the trial have two choices -– either they can get the vaccine right away or they can get it six months later. Researchers will follow the subjects in the trial for six months to compare rates of Ebola infection. "We don't know whether this vaccine will be the Ebola prevention tool we're all eager for, but we hope that what we learn from STRIVE will help us save lives during this and future Ebola outbreaks," said Anne Schuchat, director of CDC's National Center for Immunization and Respiratory Diseases. The deadliest outbreak of Ebola in history began in late 2013 and has killed more than 10,000 people, mainly in Liberia, Sierra Leone and Guinea.